Mythri Movie Makers have become one of the renowned production houses after delivering a hit with Mahesh Babu’s Srimanthudu. The latest we hear is the producers have signed Young Rebel Star for their next movie. Currently, Mythri Movie Makers is bankrolling the NTR, Koratala Siva project Janata Garage and the shoot will commence from this February. 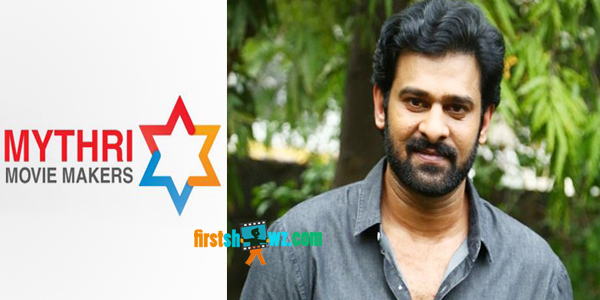 Mythri Movie Makers have now signed Prabhas for their next and the advance has been paid, although the name of the director is not yet revealed. More details on this project are awaited. For now, Prabhas is busy with the shooting schedules of his much awaited Baahubali 2 in SS Rajamouli direction, after which he will join the sets of his new movie with Sujeeth.